We’ve published Matheson’s classics as well as previously unpublished material. This year we went a step further. 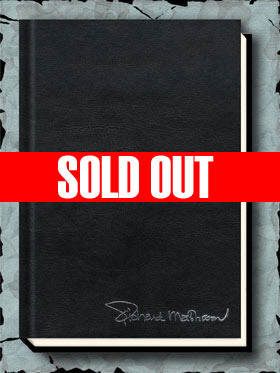 Richard Matheson chose Gauntlet to publish both the trade and limited edition of his new novel WOMAN, a novel Matheson considers his first true horror novel since HELL HOUSE. It’s premise: Men and women can no longer co-exist. Matheson is so enthusiastic about this book he took part in book signings and a book launch party. Gauntlet published 3 versions of WOMAN: a tradepaperback, which includes only the novel. For collectors we went a step further. 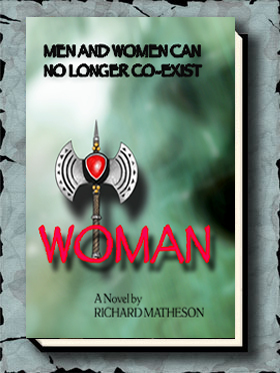 We only published as many copies of the Numbered and Lettered of WOMAN as we got orders for. 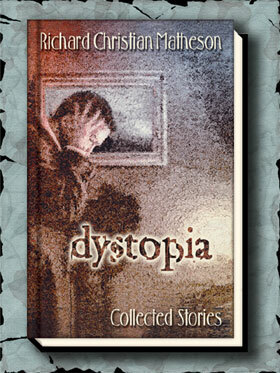 Besides the novel, the limited contains a play Matheson wrote which became the basis for the novel. This is the only appearance of Matheson’s play, which differs markedly from the novel. Artists Presentation Edition (with additional art by Harry O. Morris).